What's it about? Inspired by Hans Christian Andersen's tale of The Snow Queen, princesses Elsa and Anna are sisters who are driven apart when Elsa's icy magical powers threatens their kingdom. 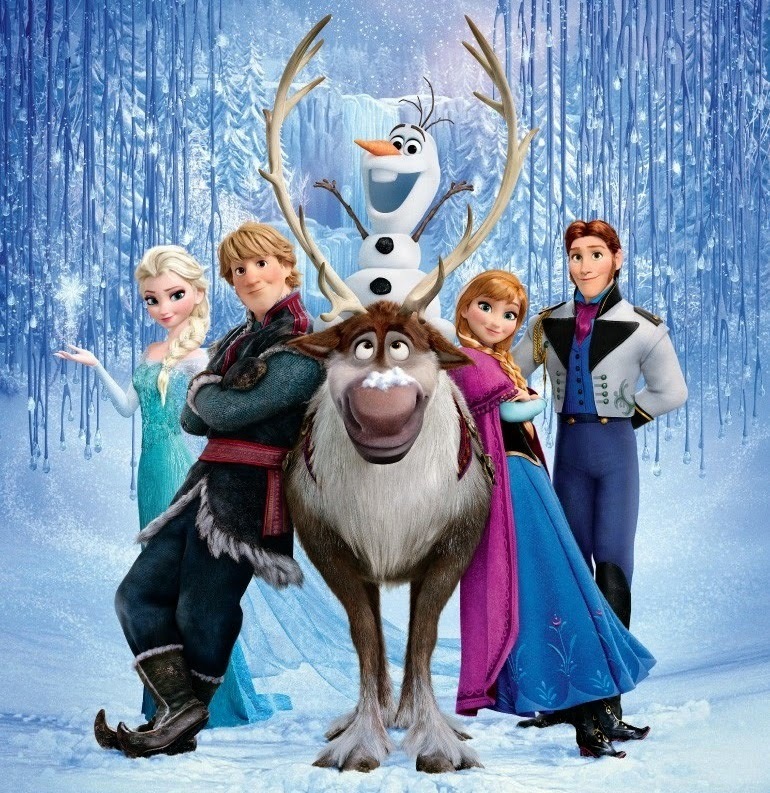 When Elsa leaves in self-imposed exile, Anna is determined to bring her back, with the help of burly mountain-man Kristoff, Sven the reindeer and an endlessly upbeat snowman called Olaf. Is it any good? This is the 52nd offering from the Disney studio and it continues their recent attempts to blend their traditional story-telling concepts with a fresher post-modern spin on proceedings. As such, it has a lot of fun subverting the Disney princess cliches, with several characters aghast at the idea of marrying a handsome prince you've just met, a plot which twists the hoary old 'true love' scenario rather neatly, and which also serves up a more sympathetic take on the 'evil queen' character. For all that, though, this doesn't quite slide smoothly into the top tier of Disney. The idea of true love between female characters (not that type of love, you filthy-minded brutes) was something tackled to better and more emotional effect in Pixar's Brave, and Elsa gets rather short-changed by the writing here, which doesn't give her quite as satisfying a character arc as Anna. On the sidelines, the supporting characters provide some chuckles, but are otherwise rather thinly sketched, whilst the film is lacking a really memorable villain to heighten tension as it reaches its climax. It also leans a bit too often on songs to tell the story - one or two of the more forgettable songs could easily have been dropped, although admittedly the Oscar-winning 'Let it Go' sequence is an absolutely brilliant show-stopper. Overall, it's a perfectly acceptable addition to the Disney ranks, but it failed to melt my heart entirely, probably due to the splinters of broken troll-mirror in my heart and my eye. I don't trust you. What do others think? I think it's fair to say it was well-liked. At the time of writing it has become the most successful animated film of all-time and has broken the fabled $1 billion mark at the box-office, as well as pocketing an Oscar for Best Animated Film. Although I could have done without a couple of the songs, it is fairly obvious that inclusion was done with half an eye on bringing the story to Broadway - expect a musical version sometime soon. Speaking of which, Elsa is voiced by Idina Menzel, who played the Wicked Witch of the West in the hit musical Wicked - anyone familiar with that show will note the similarities in how the so-called evil character is treated sympathetically. Finally, for all the rapturous acclaim, there have been one or two, including myself, who wondered why they just didn't make a straight adaptation of The Snow Queen - it's a brilliant story. What does the Fonz think? Disney on Ice.